AMMONNEWS - Prime Minister, Omar Razzaz, said the Arab Economic and Social Development Summit is taking place at a time, as the Arab world is witnessing difficult economic and geopolitical conditions, which requires pan-Arab joint action to achieve the highest levels of integration, cooperation and coordination. The premier said this future effort will counter challenges in a spirit of responsibility and resolve and called on intensifying efforts to consolidate the pillars of stability, development and prosperity for the Arab countries and peoples. In a speech he delivered at the Arab Economic and Social Development Summit currently held in Beirut, Razzaz conveyed wishes of His Majesty King Abdullah II for a successful summit at its fourth session. He said His Majesty attaches great importance to the issues on the agenda of Beirut summit and looks forward to its outcomes that are in line with the aspirations of the Arab nation. Razzaz noted: "we look forward to the summit's outcomes, which we hope will constitute practical steps that will enhance the joint Arab action process and contribute to the prosperity and development of our countries and embody our people's aspirations to achieve the desired Arab economic integration". Razzaz also thanked the Custodian of the Two Holy Mosques, King Salman bin Abdulaziz Al-Saud, the President of the third session, for his good efforts to ensure the success of its work. He lauded endeavors of the Secretary General of the Arab League to implement resolutions of the Riyadh Summit and to prepare the current meeting, which constitutes an important step towards strengthening pan-Arab cooperation in the interest of common interests. 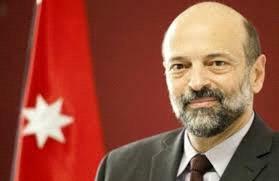 Razzaz said: We are at a time of increasing international polarization and regional conflicts, as well as economic blocs capable of taking action and launching economic negotiations with other economic blocs, in a way that has an effective impact in terms of the result that impeded the ability of individual countries to affect any negotiations that are important politically or economically. The Prime Minister said: the joint and active Arab action is no longer just a strong Arab sentiment, but rather a necessity for the survival and development of each of us, which entails that we must maximize our common values and keep them away from all that divides us. To achieve this bid, he called on forging a political and economic Arab bloc that harnesses the Arab countries' human and natural energies and focus on regional and global issues to achieve the higher Arab interests. Razzaz said: "our ambition is that our children live in a bright future full of hope beyond what we faced, which requires us to work in a systematic and well-thought manner." He expressed the hope that this summit will lead to positive, and practical decisions that take into account the changing circumstances and changes in the global economy. He also noted the meeting today is a good opportunity to assess what has been achieved in the projects of Arab economic and social integration, and to accelerate the pace of work to complete what has not been achieved so far. On joint Arab cooperation, he said: "We also need to find the necessary frameworks and the appropriate environment to increase cooperation between the private sector in our country; which is the engine of the economic process. Our agreement will be reflected in the ability to increase trade and economic cooperation among the Arab countries. This will also undoubtedly stimulate mutual investments and achieve economic integration and build a regional economy capable of achieving growth and boosting the development process in all our countries. " On the Palestinian cause, the premier said development is based on stability and security, which are largely absent from the Arab world, stressing the importance of exerting more effective efforts to resolve all the crises of the region, foremost of which is the Israeli occupation according to the two-state solution and in accordance with all the legitimate rights of the Palestinian people, with East Jerusalem as the capital of the independent Palestinian state. Razzaz noted Jordan will continue to make every effort to enhance cooperation and joint Arab action and achieve economic integration.